This month is special for me as it is my first month as a DT member of the Kraft Plus team! The Kraft Plus Challenge has given me loads of inspiration and motivation to scrap over the past year or so, and now I get to be a part of the team that brings you that inspiration! Thank you to Kraft Plus for having me, I am looking forward to being a part of the new Kraft Plus Community. This month the challenge is "warp and weft", basically adding some weaving to your project. I started with the large cut file and an idea to weave some paper through that. It didn't really work as well as I'd hoped. I love working with embroidery thread so I decided to make the large heart instead (also a cut file). When I put some Crate Paper Good Vibes paper behind the large cut file it looked awesome. I just love how well the purple-blue in the Good Vibes works with the Kraft. 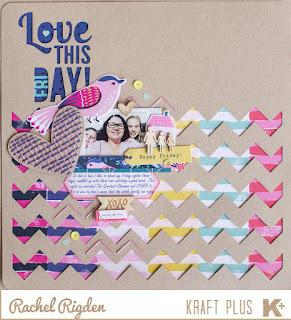 I popped up the Kraft chevron with a couple of glue dots to give it dimension. In the end I was really happy with how this one turned out. Welcome to the team, and your first layout is a stunner... 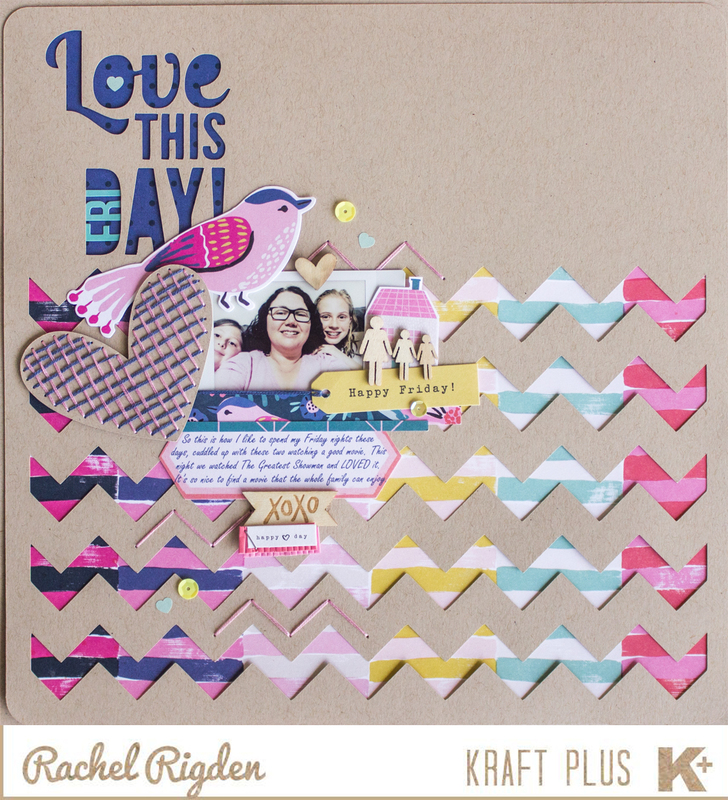 I love the colors fabulous Heart and chevron pattern! !